Hi folks, I'm thrilled to have a guest post for you this week from Louise about the special value of scraps, especially for charity quilts. I hope you'll read and enjoy! Hello! 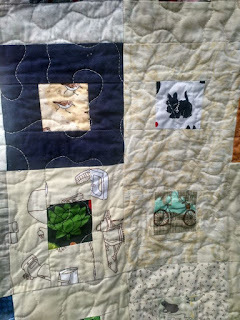 My name is Louise and I blog over at Quilt Odyssey. 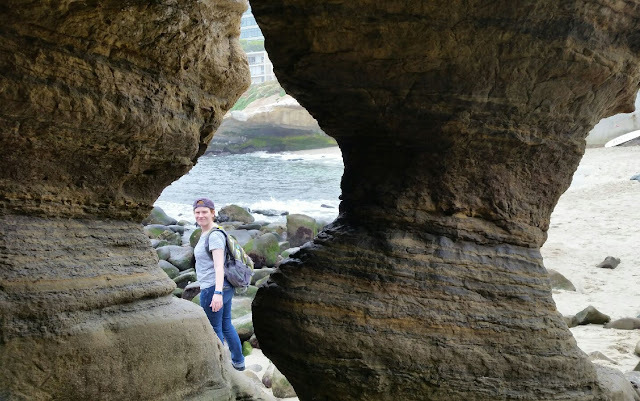 Kat asked me to write a guest post while she is away for the summer. 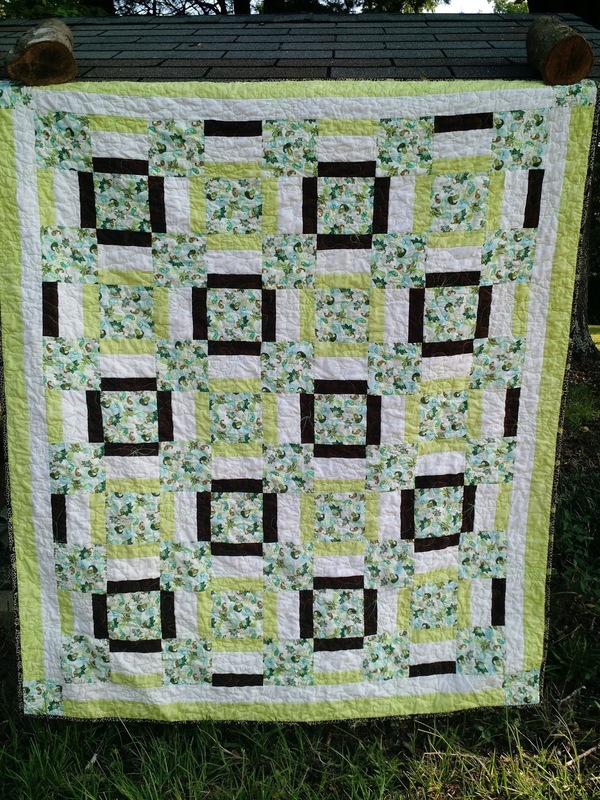 I'm a fairly new quilter, having only taken up the hobby about three years ago. I had no fabric stash at all, and started by buying a few fat quarter bundles. Of course, I had no scraps. After making my first lap quilt, a blue and yellow floral and butterfly design for my Mom, I actually threw away the scraps. Why would I need to save those small pieces? 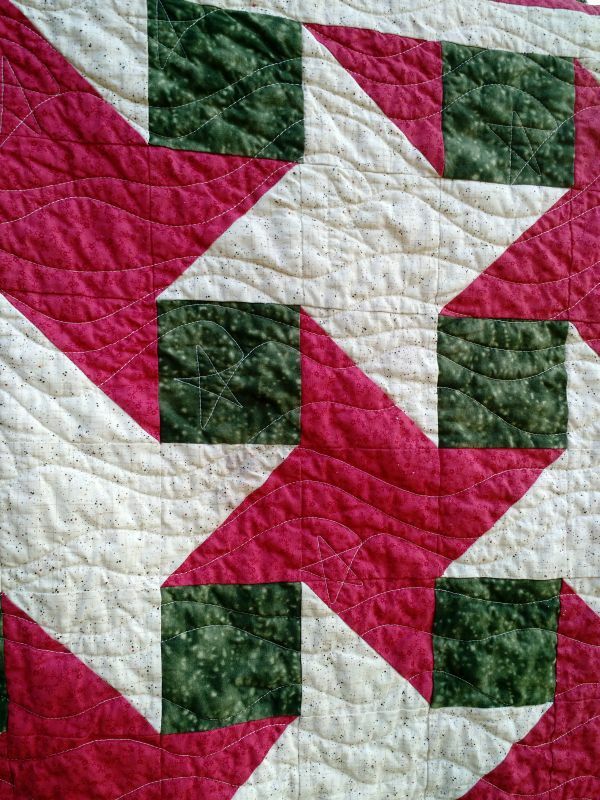 It was several months before I started reading quilt blogs and discovered that entire quilts could be made from what I casually tossed in the garbage can. I still regret that little pile that ended up in the landfill. I bought more bundles and made more quilts, and started saving my scraps. The very first thing I made with them was a Covered In Love block, my first collaborative "bee" creation. It was fun to make, and I felt good about contributing to such a good cause, but mostly it was just satisfying to get rid of a few scraps. 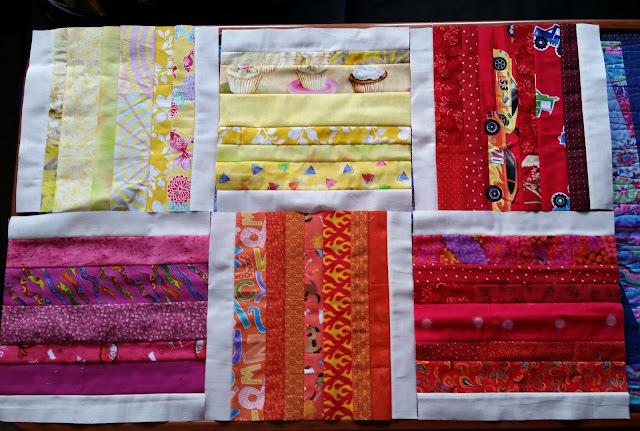 Meanwhile, I was still making quilts for friends and family from brand new fabric, carefully shopping for just the right colors and motifs that I hoped they would love. I'm particularly fond of using novelty fabrics to capture someone's interests: a beer-themed quilt for a cousin, sweet doggy faces for a friend's granddaughter, fun scooters for my husband. And I discovered the love and joy that comes with sewing gifts, the meditative time watching the fabrics pass under the presser foot, while thinking, "Oh, she's going to love these beautiful yellow flowers!" I checked in today with one of the chaplains who delivers these quilts and he said, "This is a wonderful, powerful gift. 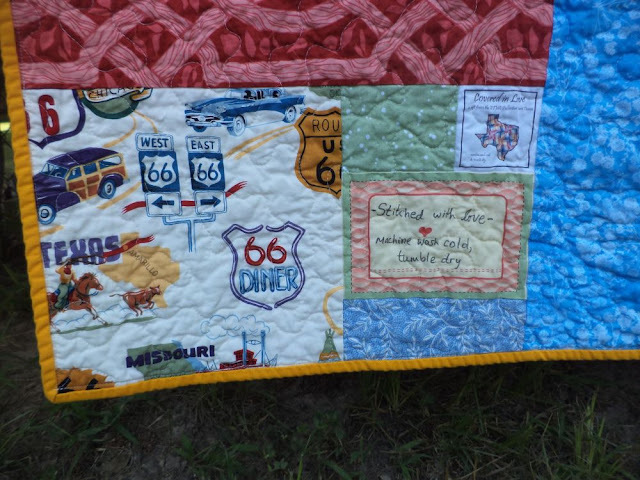 [I] placed the Route 66 quilt on a bed Tuesday and the family cried and cried. He had lived for many years in Amarillo and it was on the quilt! It was perfect!" 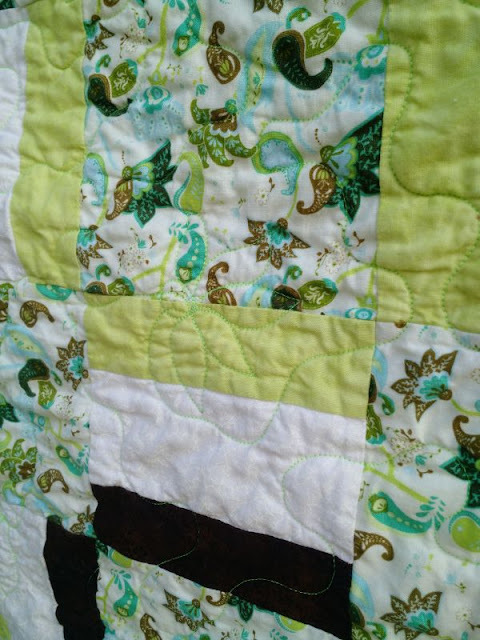 Kat had sewn a quilt using scrap/remnant Route 66 fabric, and it ended up in the hands of just the right family. 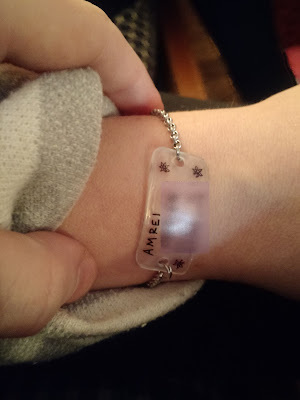 In their grief, they connected so emotionally to that memory of their loved one. 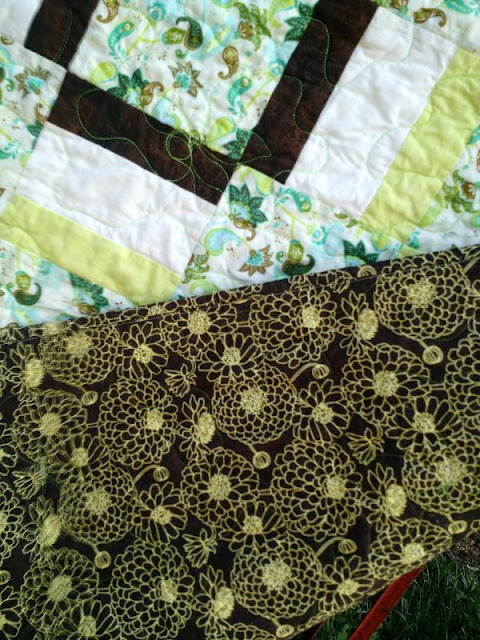 And that's not the only time a personal connection has been made through these quilts. 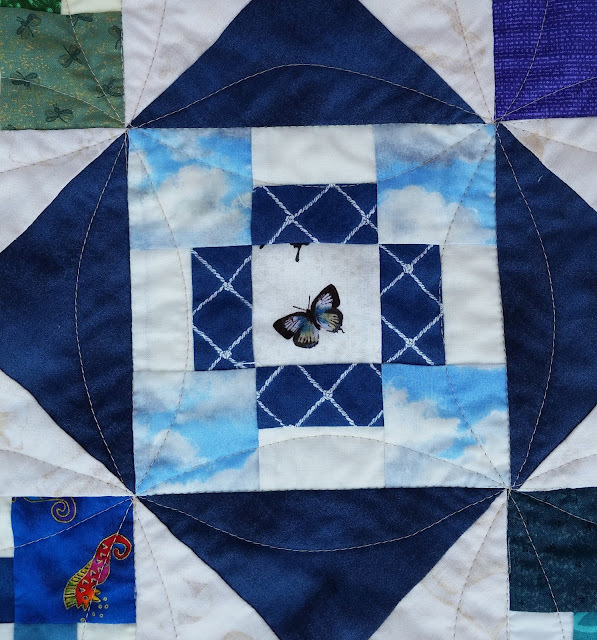 The wide variety of colors and themes, sewn out of our scraps, has produced Just The Right Quilt for many, many grieving families. Each time we select a fabric for our own loved ones, we open up the possibility that it is also the perfect fabric for a stranger in need. Your aunt loves purple? So does another aunt. Tiny butterflies on a 2"x2" scrap? That will certainly be found by the family of another butterfly fan as they sit by a hospital bedside. After all, we humans long for connection, for meaning, especially at times of sickness, grief, and loss. Scraps now have been elevated in my stash to much higher status. They are the basis for the very best charity quilts. I believe that scrappy quilts provide extra visual and emotional interest at a time when people are searching for meaning and comfort. I'm deeply moved by the chaplains' stories about how the families often find a special connection hidden in their quilt. So I try to make my own donations full of little glimpses of flowers and birds and scooters and Snoopy and music and much more. Maybe something will resonate, providing a bit of light and love during a dark time. By passing along the fabric that we filled with love the first time around, we do so much more than make efficient use of our stash. We touch our common humanity. And by combining my scraps with yours, we create something larger than each of us. Did you know that Kat puts a special label on the back of each Covered in Love quilt? 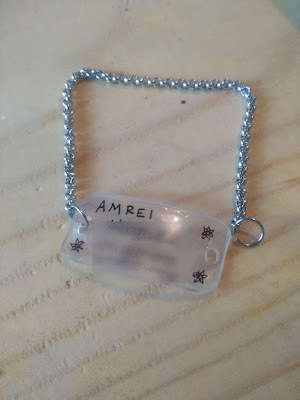 She writes the names of each of us that has contributed a block, the backing, the quilting, the binding. Some of the labels have a dozen names, a whole cadre of loving strangers who have stitched in solitude to make together something that quite literally covers a family with love. Powerful stuff from scraps of fabric. So as you sew donation blocks or quilts, use your scraps with pride. Tap into the joy and love as the fabric passes through your machine and your fingers. Think to yourself, "Oh, she's going to love these beautiful yellow flowers!" even if you've never met her and never will. Your scraps are destined for greatness. Linking to Quilting is More Fun Than Housework, Crazy Mom Quilts, and Confessions of a Fabric Addict. 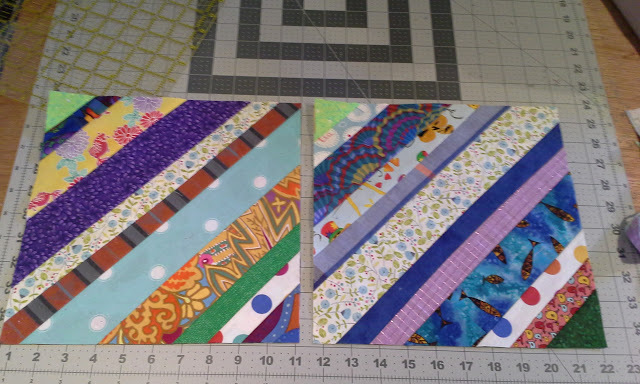 I've been away from my sewing machine, except for one week, since mid-May. I'm getting itchy fingers to say the least! Last week I decided it was time to do some therapeutic crafting and hit up Walmart for some white onesies, dye and thread. I've been wanting to experiment with the Shibori thread resist technique, called Nui Shibori, for a long time. I wasn't sure it would work well on fabric with such an open weave since it's usually done on fabrics with a very tight weave similar to what is used for batiking. Happily, as you can see, it worked well! 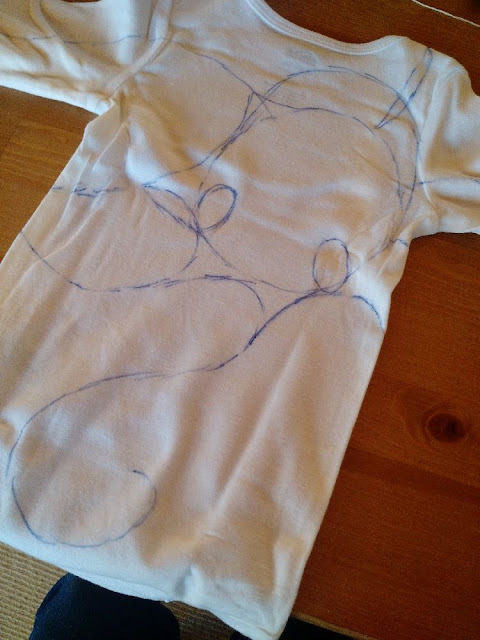 I drew the designs first in washable marker and then stitched over them. The pic above is of the jellyfish onesie. 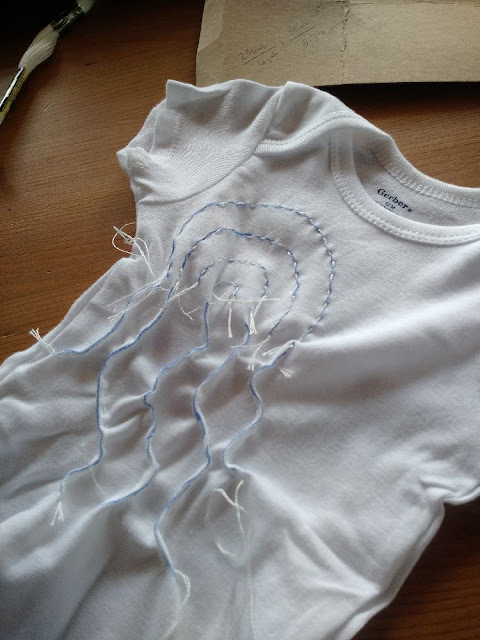 After stitching you draw the threads up tight and tie them (like cinching the rubber bands in regular tie dye. 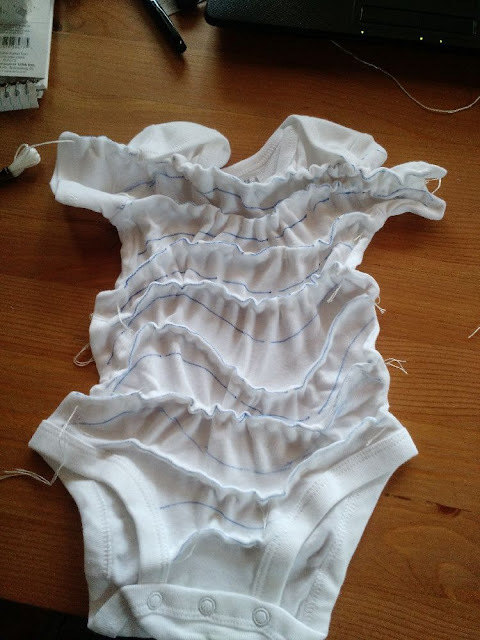 For this one, with the "tentacle" looking stripes I sewed through the front and back layers at the same time. 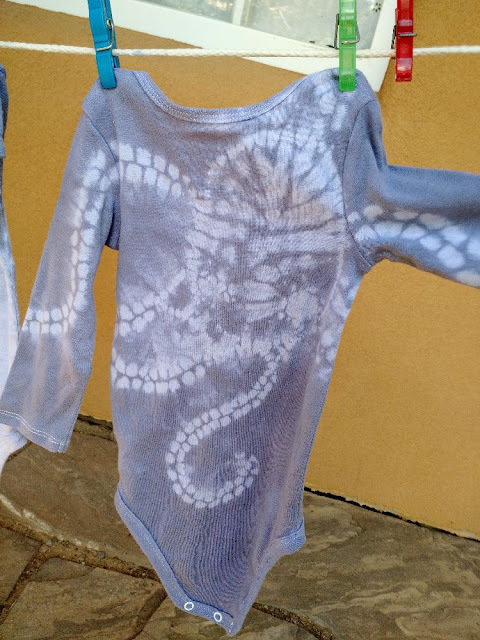 I really liked this "fish scales" one with a faded dye technique. 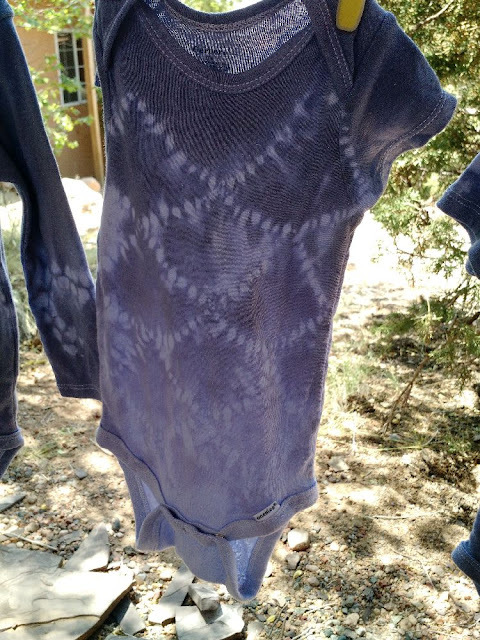 I just clipped the onesie to the side of my dye bath and lowered it further in every ten minutes until it was done. 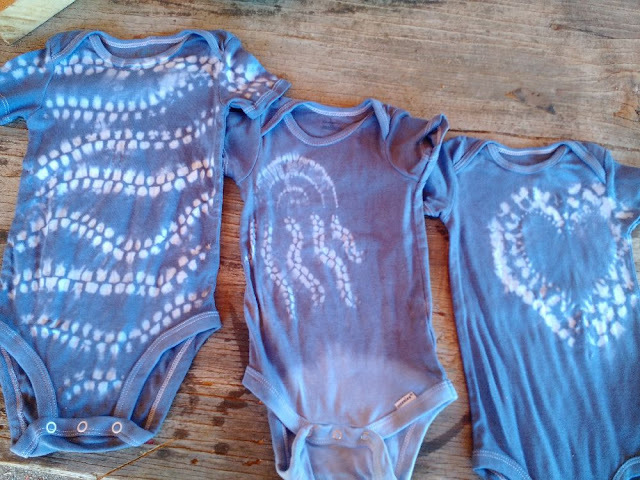 The tentacle-looking stitch pattern inspired this onesie called "Octo-hug" or "An Octopus Ate My Baby!" Can you see the octopus on the back wrapping his tentacles around? I learned a lot from making this one and I will definitely do another version, which will hopefully come out even better. 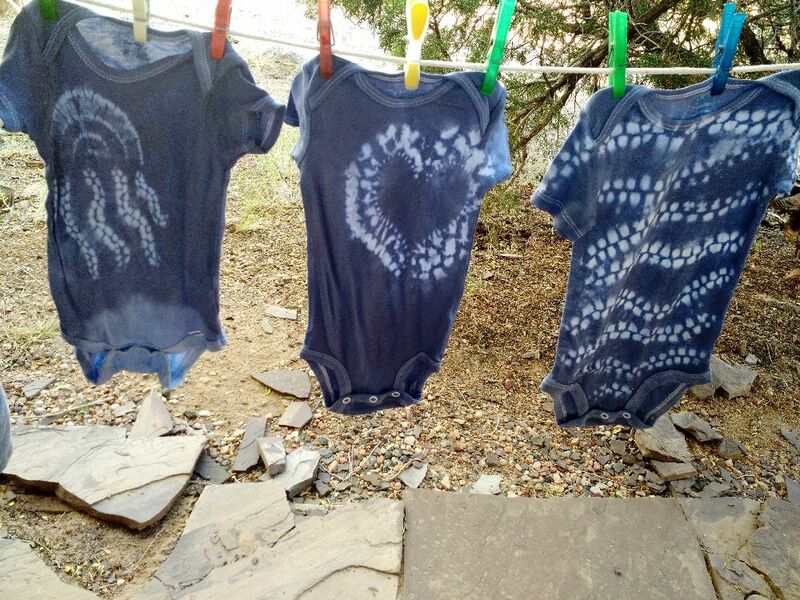 There is at least an hour of stitching and tying in even the relatively simple designs so I am working on these slowly and doing small dye batches of about three at a time. This week I'm going to pick up a new dye color and hopefully find a bottle of Retayne to help set the dye. Can't wait to gift these soon! 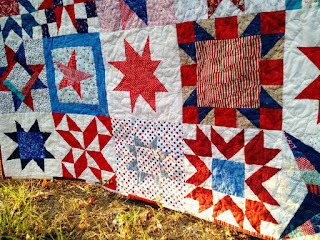 The new Covered in Love block drive just began and it's a red, white, and blue star free-for-all. 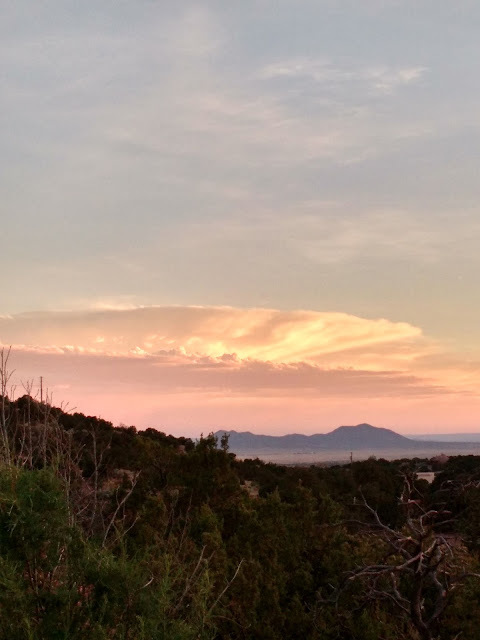 This drive will run until the end of August if you want to help out. 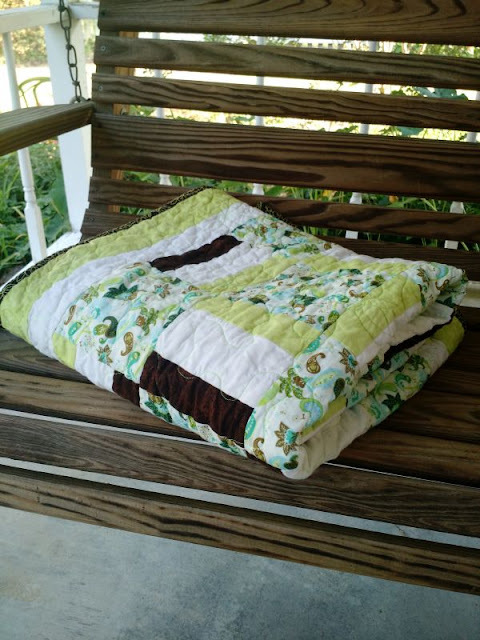 We gift quilts to the family member of patients dying in the hospital. More info here! There are a lot of people who are helping to keep CiL running while I'm away from my sewing machine this summer. 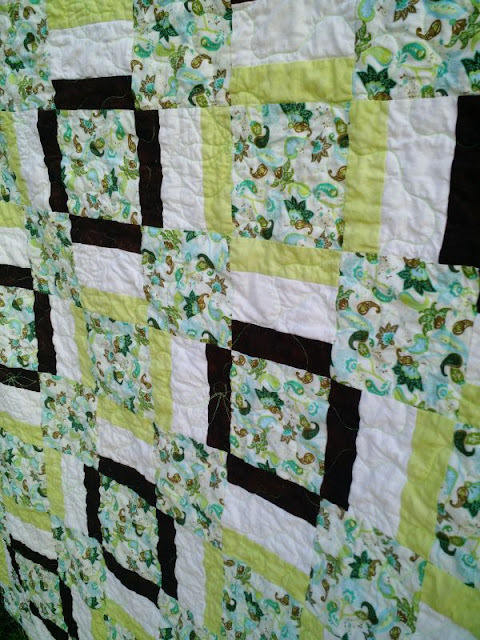 Quilters like Cynthia, Judy, Meloney, and Kathy are my angels. 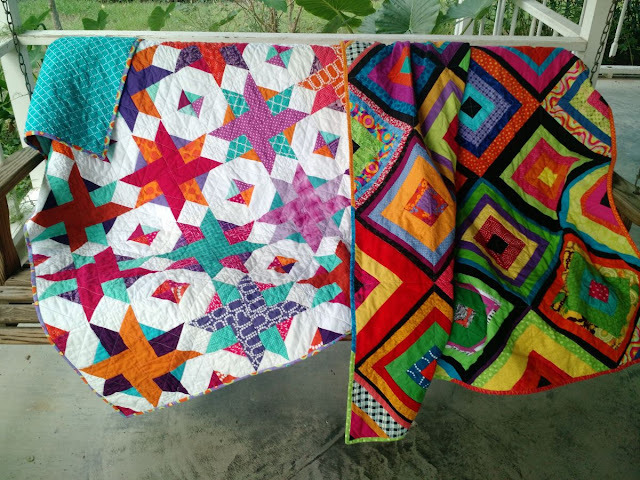 Because of them quilts are continuing to be finished over this summer and the pile of tops and blocks that greets me when I get home should be manageable. And of course there are too many of you to mention by name who are sending in blocks, tops and other goodies so that CiL can continue to run smoothly! Thank you! Spring Greens is what I'm calling this quilt. No, it's not spring. I wish it was! It's summer and hot as blazes. This pretty green top that Jannette sent in for Covered in Love just screams Spring though, don't you think? This one was also quilted by Meloney on her long arm. I received a lovely thank you email from a family member of a Covered in Love quilt recipient today that I want to share with you. "You truly touched my family's heart through CIL. My mom was critically ill in the ICU when she received a beautiful quit. 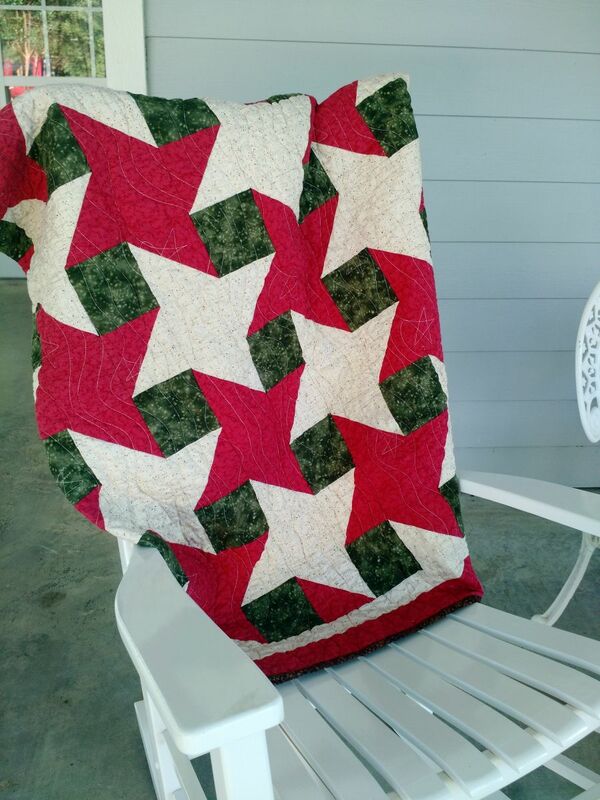 This quilt was with her until she passed and now it sits in her favorite chair at our home in our living room." Thank you to every single person who has contributed to CiL. These thanks belong to all of you! 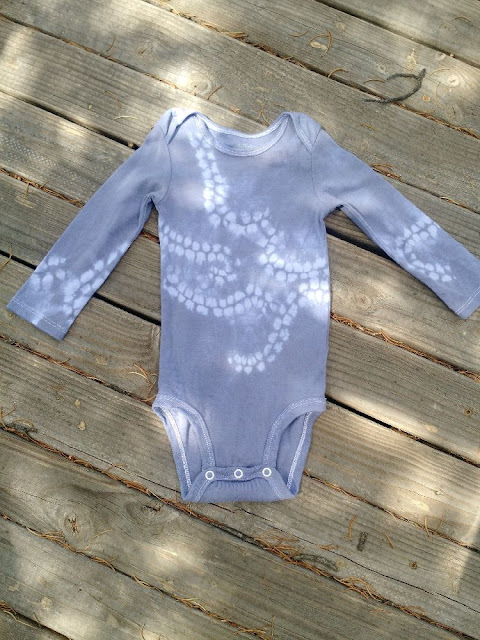 In the photo above you can see the design Meloney used, daisies in swirling lines. 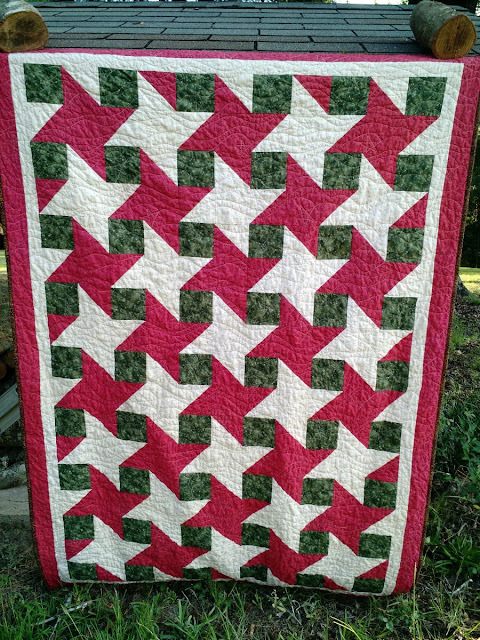 I really like this design and think it compliments the quilt top really well. 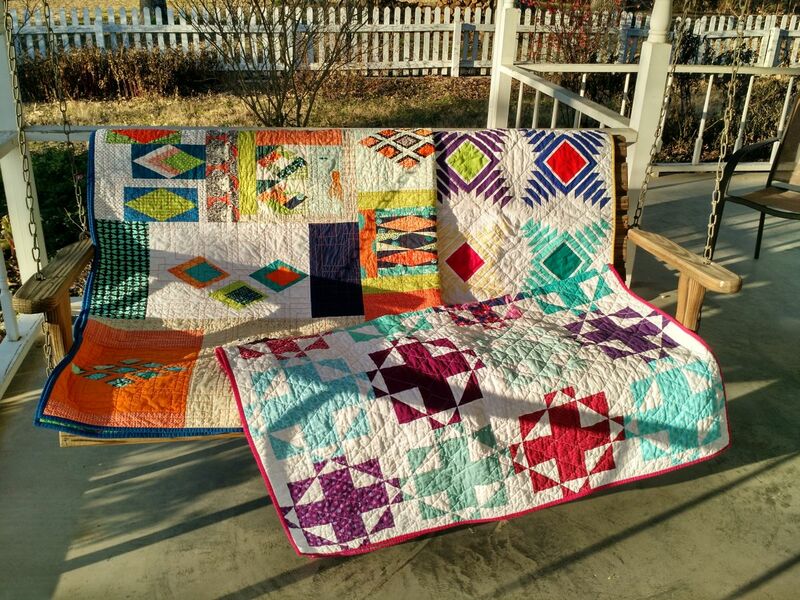 This quilt has already been taken up to the hospital for Covered in Love, it was part of the last donation that put us up over 200 quilts. Yes 200! I'm planning a proper celebration this Fall for that milestone. Finished, photographed, folded and ready for delivery :) Thank you Jannette and Meloney! Listening to... Celtic Thunder singing about "all God's creatures"
I've been away from my sewing machine for a couple month's now, so I'm running low on quilt-content (not to mention getting itchy fingers!) The photo below is from my whirlwind trip to San Diego in June. Since I'm not sewing anything I'd like to direct you toward a favorite blogger of mine who sews a TON for charity. Louise lives on a boat (currently off the Gulf of Mexico) which makes her automatically cool, in my opinion. 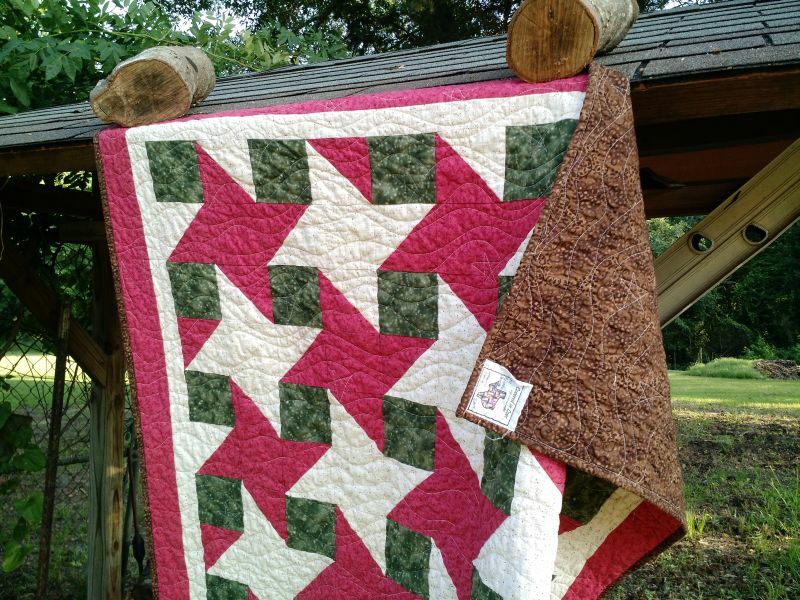 Despite small spaces and occasional high seas she is a devoted quilter for not only Covered in Love, but also Project Linus, Hands 2 Help, and more. If you are unfamiliar with her, go check out her blog and consider following!